Linda J. Barnett, 66, of Brooklyn, IA and formerly of Waterloo, died Friday morning at Cedar Valley Hospice Home of complications of cancer. She was born August 27, 1946 in Waterloo the daughter of Kenneth and Margaret Harris Hines. She married Wayne Barnett on January 9, 1969 in Galena, IL. Linda was a restaurant manager for Stage Door at the Old Creamery Theatre in Garrison. She was also an Avon Lady and part of the Red Hat Society. She is survived by her husband; 3 daughters: Kimberly Clair of Toledo, Margaret “Peggy” (Steven) Theis of Waterloo, Wendy (Scott) Hintz of Waverly; 1 sister, Patricia (Richard) Andreasen of Waterloo; 8 grandchildren; 1 great grandchild; and her beloved dog, Lucy Jo. 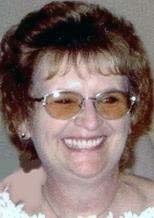 She was preceded in death by 3 sisters: Joyce McCarroll, Judy Clayton, and Paulette Dietrick. A family directed Celebration of Life Service will be held on Monday, Sept 10, from 2 - 7 P.M. at the Holiday Lake Community Center, Unit #6 Lake Shore Dr at Holiday Lake Brooklyn, Iowa. Those who wish may direct memorials to Cedar Valley Hospice, the American Cancer Society or the Cedar Bend Humane Society. Kearns, Huisman-Schumacher Chapel on Kimball is assisting the family.